Integj has operated as an integrated textile company that included the whole production cycle for a wide range of diverse textile products. This was first established and registered far back in 1953. Integj’s spinning and Machine-Woven Carpets focuses on three different productions; production of natural and synthetic yarns, the production of machine-made carpets. Yarns that are produced by the subsidiary are great suitable products for the manufacture of hand-made and also machine-made carpets. From 1986-1989 inside Integj was build complete new factory for yarn and carpet face to face production with annual production capacity of up to 2700 tons of yarns and of 481,000 square meters of carpets with total investment of 35mil USD. As of the early years of 1990s, the Contributory started to phase down its activities until they came to a full and complete stop on August 2003: for yarn and carpet manufacturing on November 2003. The company was privatized during the 7th wave spin-off of Kosovo’s Privatization Agency in the March 2006. NewCo Integji L.L.C. was bought by the company "Albimi". Production capacities range as one of the highest in the region with an average wool yarn, carpet, and rug production capacity of approximately 2700 tons of Yarns, and 481,000 square meters of Carpets. Aiming to produce the best products on the market, NewCo Integji purchases and uses unprocessed wool coming all the way from New Zealand, United Kingdom and also from the region of Balkan, for its yarn production. However, the production of carpets requires trustworthy wool yarn thus it uses its own wool yarn production, and also Polypropylene imported from Turkey. 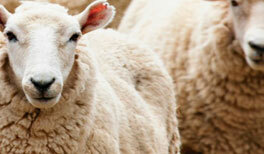 Just to mention that the company operates with mostly NEW ZEALAND WOOL. 2013 New Co Integj LLC. All right reserved.